We would like to thank you for choosing Hotel WP. 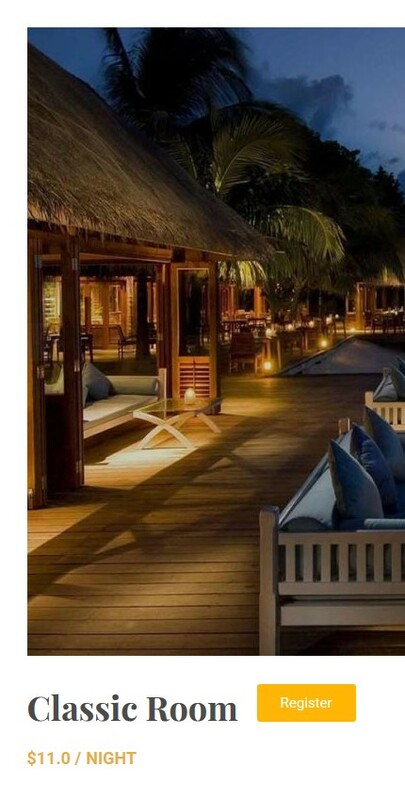 Built by the latest version of WordPress and used with WordPress only as well as using the powerful page builder plugin Visual Composer, Hotel WP promises to bring to new experiences for users to create awesome hotel websites. Now let’s jump to the theme presentation. Verify your PHP limits in Dashboard >> Hotel WP>> System Status. Or contact the server provider to confirm your current PHP limits are and have them set it up again if neeed. Step 3. 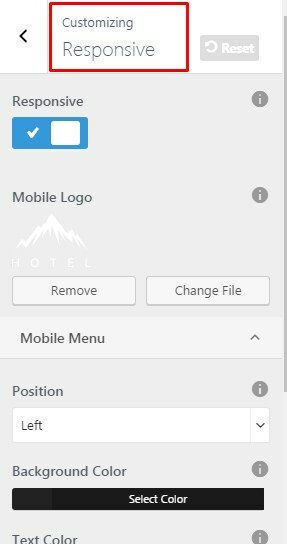 Browser hotel-wp.zip file in your computer and click Install Now button. Step 4. Active Hotel WP. Step 5. After active the theme, you will see Hotel WP Theme notice!. Click “Install and active ThimPress Core to start now! “ to active core of Hotel WP, move to importing demo data process. Step 2. Unzip hotel-wp.zip file. Step 3. 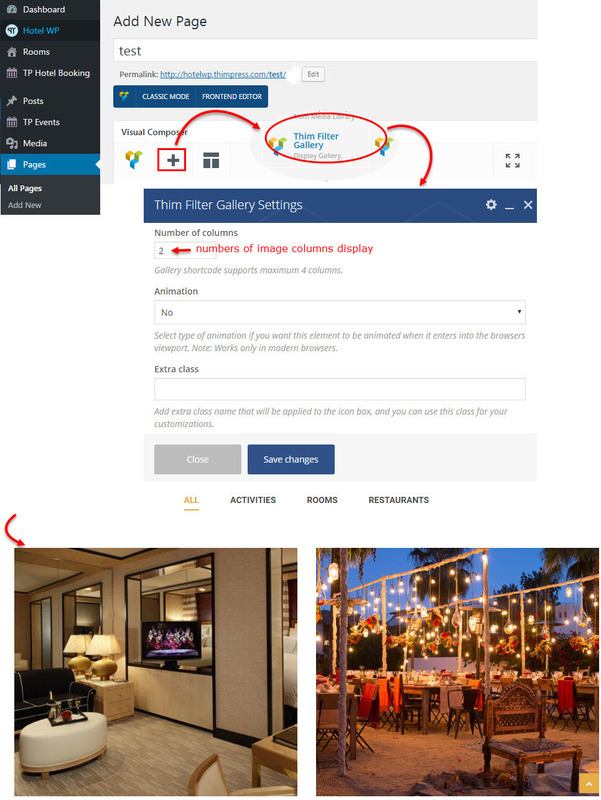 Upload the exacted theme folder hotel-wp to wp-content/ themes folder. Step 5. After active the theme, you will see Hotel WP notice!. Click “Install and active ThimPress Core to start now! “ to active core of Hotel WP, move to importing demo data process. 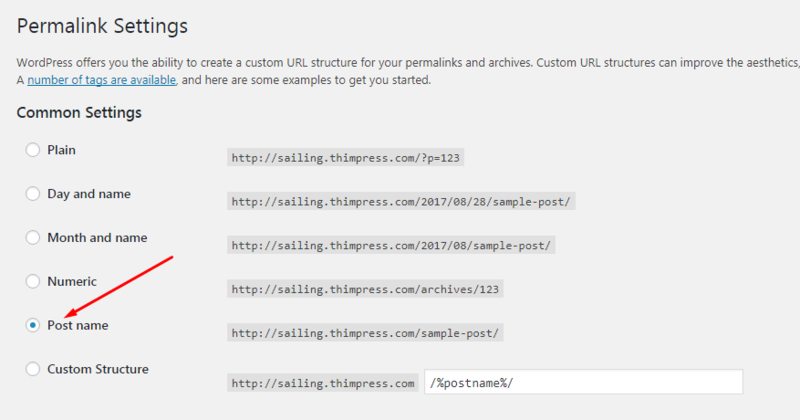 There are 2 common ways to update the theme: via FTP – manually update and via Thim Core. We ThimPress has developed another way to update theme via Thim Core plugin. The updating will not loose your changes before but to be safety, you should backup files and database before updating. After updated, re-save customize in Dashboard >> Customize >> click Save & Publish. This is the easiest and fastest way. Step 1 – Navigate to Hotel WP >> Dashboard then login with your Envato account. Step 2 – Simply click to Update now. Step 1. Login you Envato account. In Download tab, find Hotel WP and choose the Installable WordPress Theme (the WordPress file). Step 2. 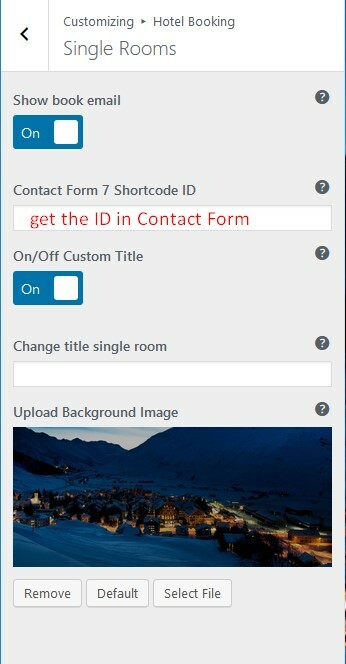 Login your server, then go to wp-content/ themes folder and backup your hotel-wp theme folder if you want or delete it. The content in your site will not be lost but if you have modified code, the changes will be lost. You have to reapply them after updating over. Step 3. Exact new file hotel-wp.zip you have already downloaded from Themeforest. Step 4. 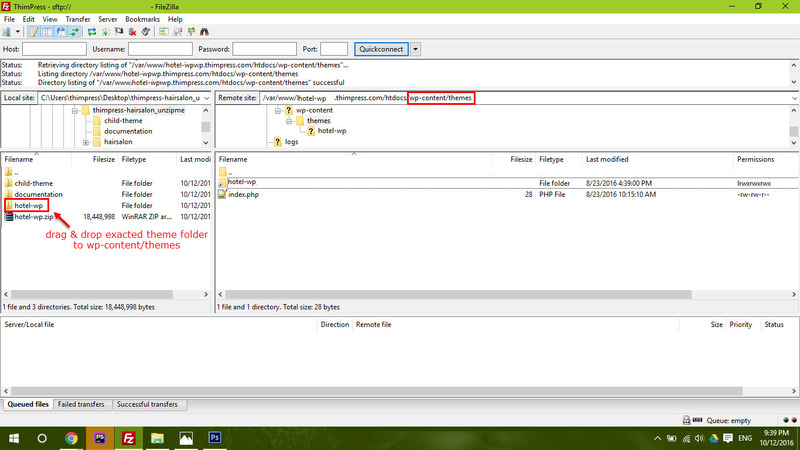 Drag & drop new theme folder hotel-wp to wp-content/ theme to override the existing files. The tutorial guides you how to install and import demo data. Upload Header Logo, Sticky Logo, Retina Logo, Logo Width, Site Icon. Enable/ Disable RTL; Scroll; Preloading. 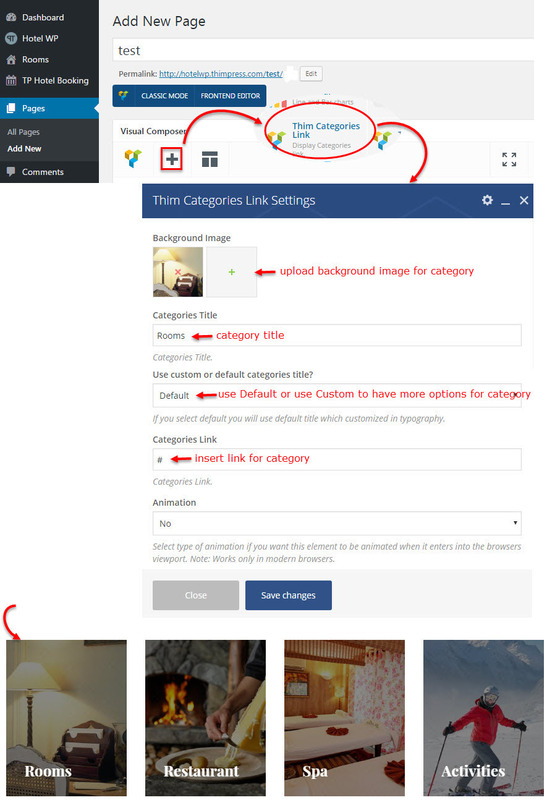 Upload Top Image for pages, change font title, disable/ enable title or breadcrum. 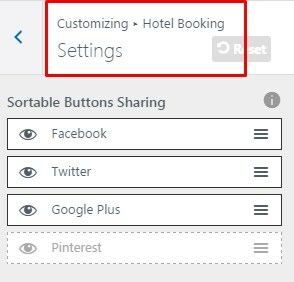 Enable/ disable and reorder social sharings in single room pages. 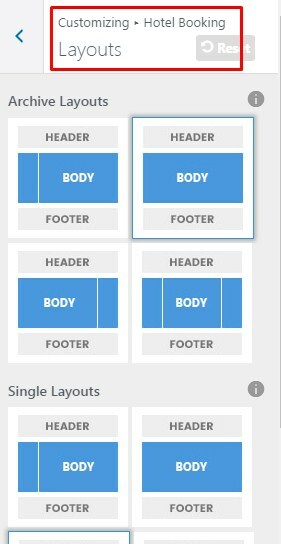 Select layout for Rooms archive page (yoursite/rooms) and single room pages. 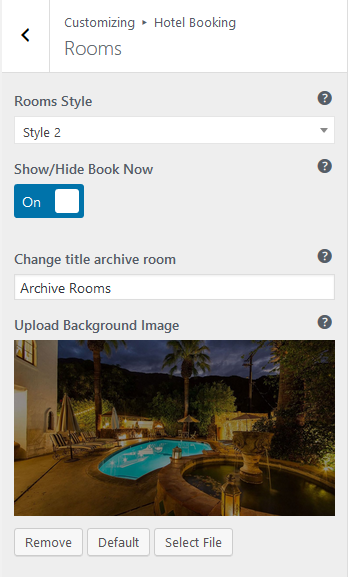 Disable/ enable “Book Now” button in sidebar in single room pages and select room style for Rooms archive page. 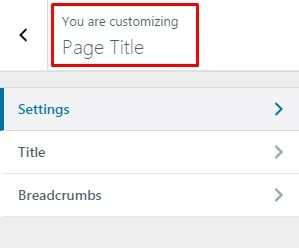 Configure Custom title or upload a general top image for all single room pages. Besides, you can use email system for booking instead of booking online by enabling Show Book Email option and input the Contact Form ID. You will find the button Register in single room. 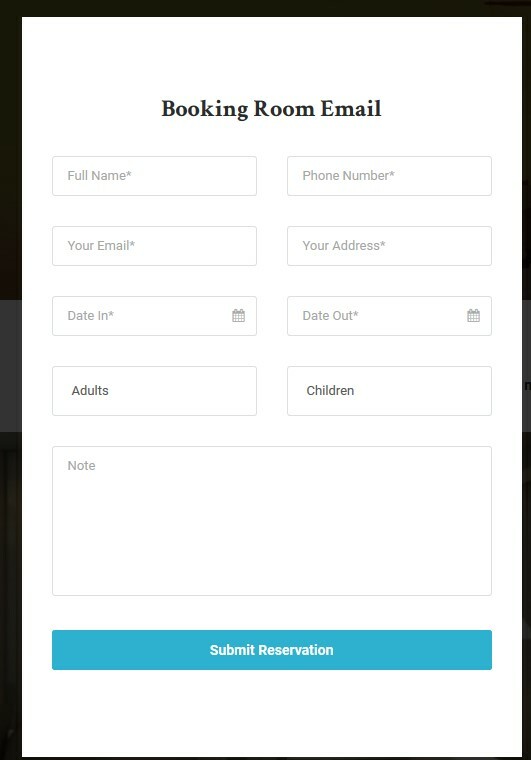 Users will use the form and send the request to book this room including check-in/ check-out dates, email, numbers of adults/ children…Administrator will receive these information through email. This feature is suitable for tours. 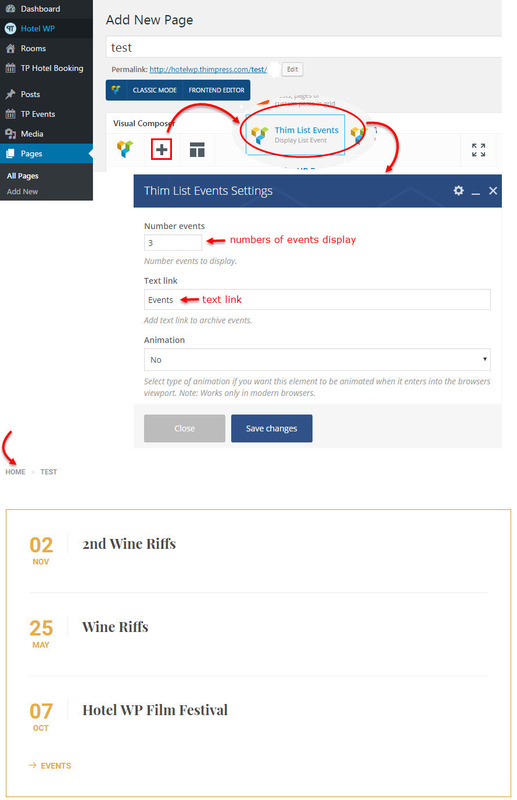 Select layout for Events page (yoursite/events) and number of events displayed in the page. 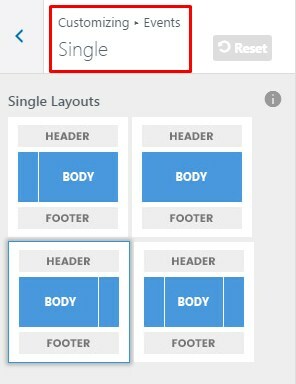 Select layout for single event pages. 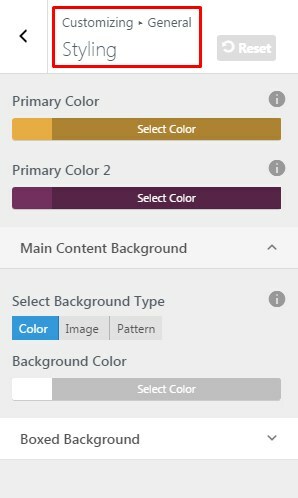 Change color title and background color for widgets in sidebar. The theme uses WP Hotel Booking plugin written by ourselves. With this plugin, you can order rooms, room settings as well as checkout with variety of payment methods. The plugin has more some professional features than other current hotel booking plugins in the market. It works independently, not involving with WooCommerce plugin. 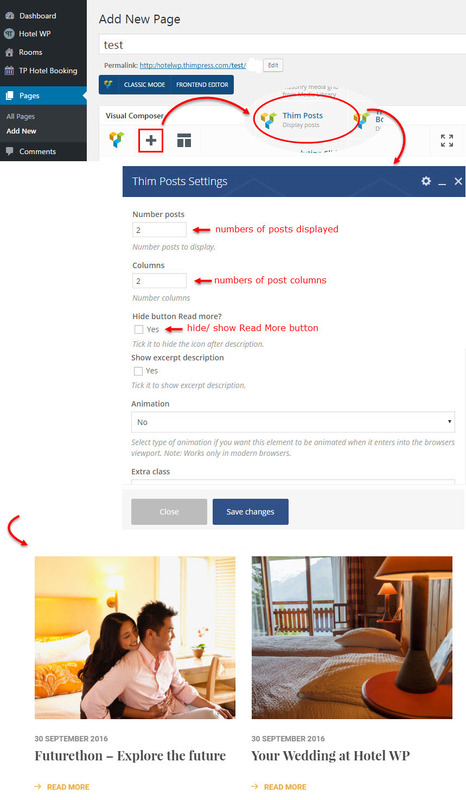 When you created rooms but 404, please check “Post Name” option in Dashboard >> Settings >> Permalinks. WP Hotel Booking supports to use WooCommerce checkout system with WooCommerce payment gateways. 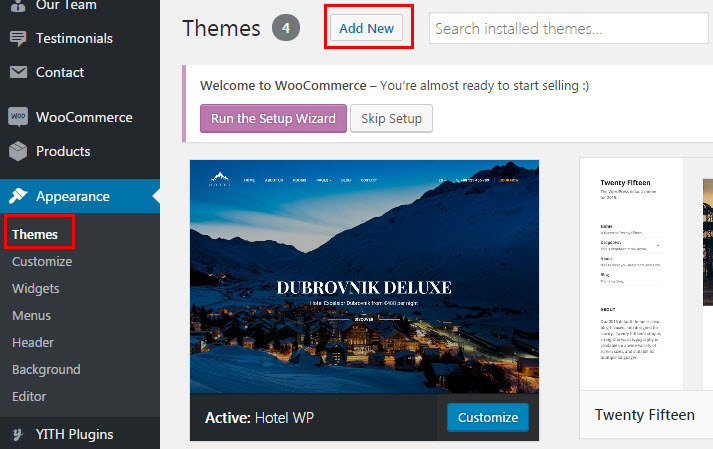 By installing WP Hotel Booking WooCommerce addon, you can completely use WooCommerce for online booking system. 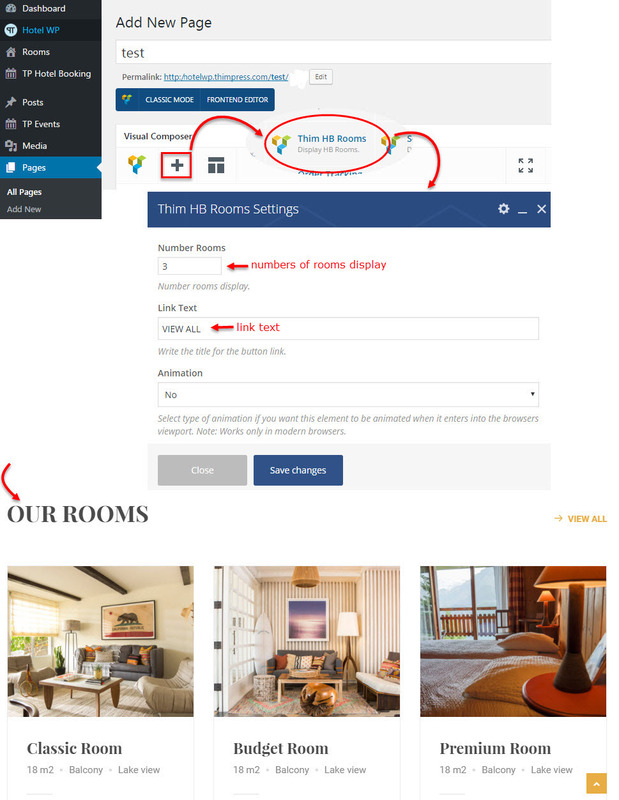 Read changelog and make sure that your site is running the latest version of Hotel WP. How can I translate room/ slug to something else? Our booking plugin can be easily translated by a translation plugin, such as Loco Translate plugin. Most of you want to change /rooms URL so I will guide how to do. – Install Loco Translate plugin. Note: * Site language and language in Loco has to be same. 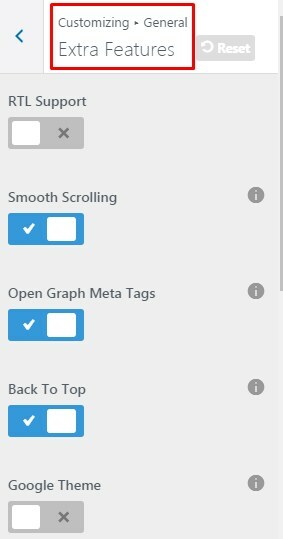 How to get license key of included premium plugins (Visual Composer, Revolution Slider)? You can use included premium plugins such as Visual Composer, Revolution Slider for free when you purchase and download our themes from ThemeForest. So you don’t have to buy your own license to use these plugins. However, as a note from that plugin’s author, you (theme buyer) can not active directly get support from them. But please don’t worry if you see warning messages about the plugin license activation or update required. 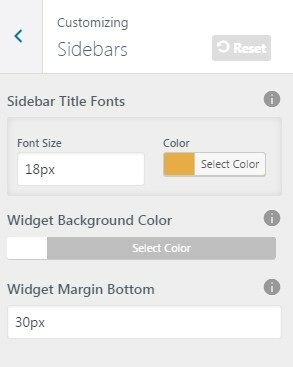 You always get the latest version of Visual Composer, Revolution Slider when we update the theme. 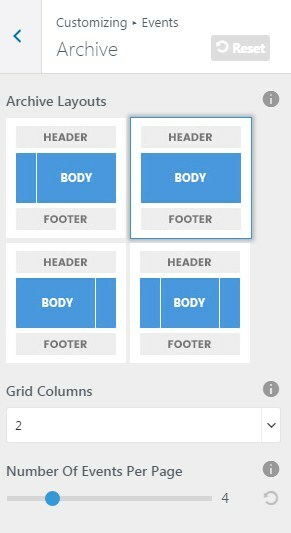 We will test these plugins before send it to you to make sure there are no conflicts with our theme.